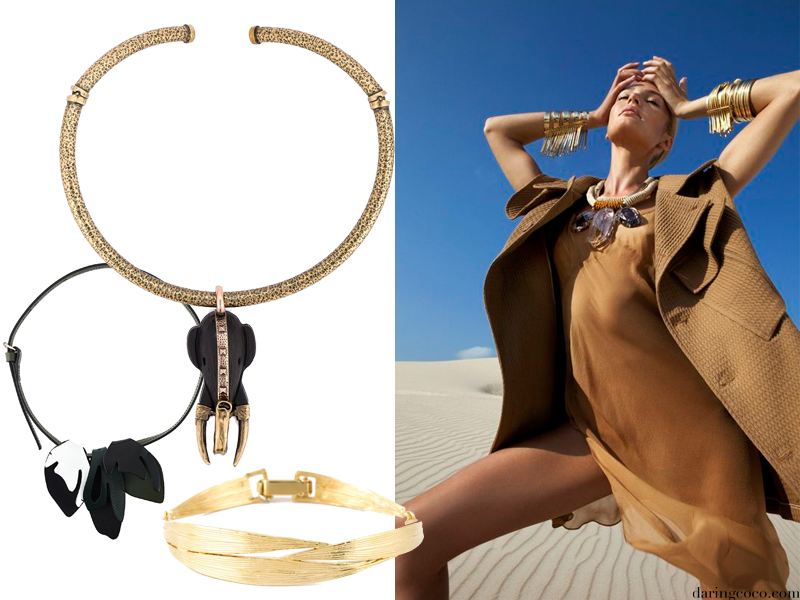 my own must-have pieces and of course an accompanying lust list. One can not think of safari without conjuring up images of this iconic two piece. That relaxed fit cinched that can potentially be cinched at the waist with a matching belt and those oversized pockets dappled throughout. It’s a design that is continuously reimagined and modernised, yet the basic principles of it’s design perpetually remain. Like this jacket by Figue, encrusted with bedazzling beading. Or by pairing billowy palazzo pants for a bohemian and carefree twist. Because khaki tones are not solely reserved for that of military types. 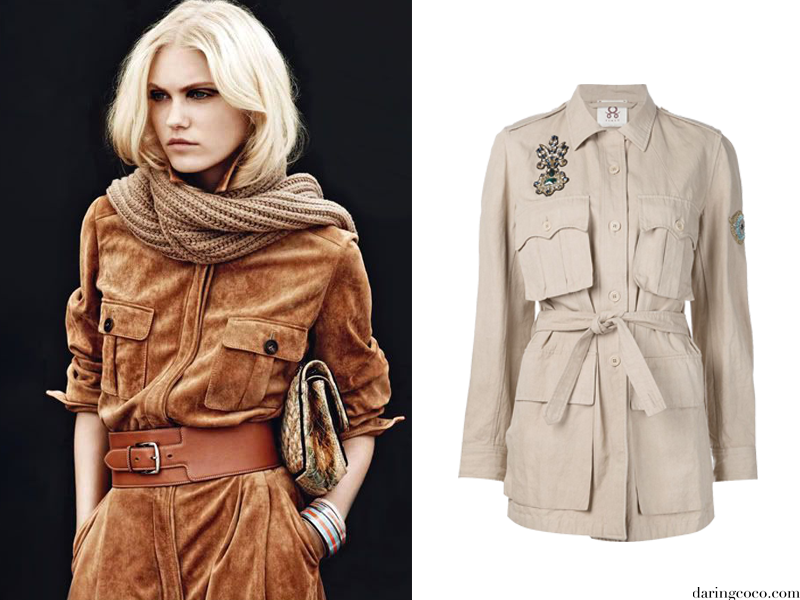 I absolutely adore this hue when used sartorially and I especially revere it in anything to do with a safari adventure. This colour is utterly flattering on any skin tone and has a magical way of being known to effortlessly chameleon from day to night. I love the idea of a skinny cargo pant, like these Current Elliott beauties, paired with a simple white shirt. Perfect for days exploring The Serengeti. It’s no secret that an accessory can maketh or breaketh an outfit. It can be a docile addition or a flamboyant one. I quite fancy the idea of something bold with references to nature. Be it in the form of acrylic leaves or a more tribal, animal design. Something slightly more exaggerated while seemingly may not be the most practical for open-top Jeep tours for some, glamping with a sky full of stars and pink champagne certainly calls for it. And that concludes my Safari style loves. What do you associate with this trend and love most?